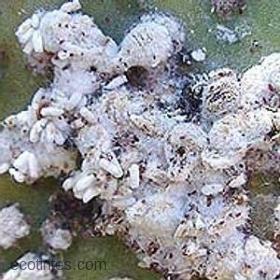 The cochineal insect is a parasite of the prickly leaves. 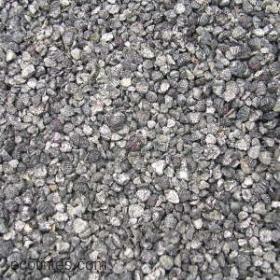 It has a reddish-black grain covered by a white powder. When they have reached their development (about 8 mm) are collected with a brush and placed in sun or kiln dried. 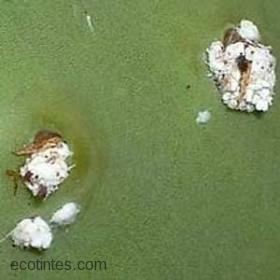 The final product is used to extract carminic acid, the main component Dyer. 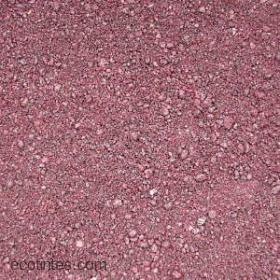 Uses: In pharmaceuticals the Cochineal carmine is used in the preparation of pills and tablets. In the cosmetics industry is used in the production of pencils, face powder, eye pencils. Besides its use as a coloring ancient textiles. From a quality standpoint, the cosmetics industry is the most challenging because it only accepts high purity lipstick that matches in tune with their quality and color patterns. The advent of synthetic dyes led to its cultivation diminished sharply. Being a natural product is preferred by many consumers as an alternative to industrial dyes. 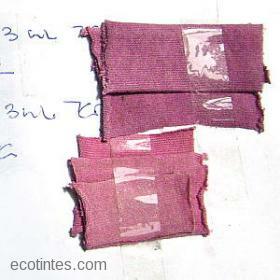 Colours made with Carmine by Ecotintes.